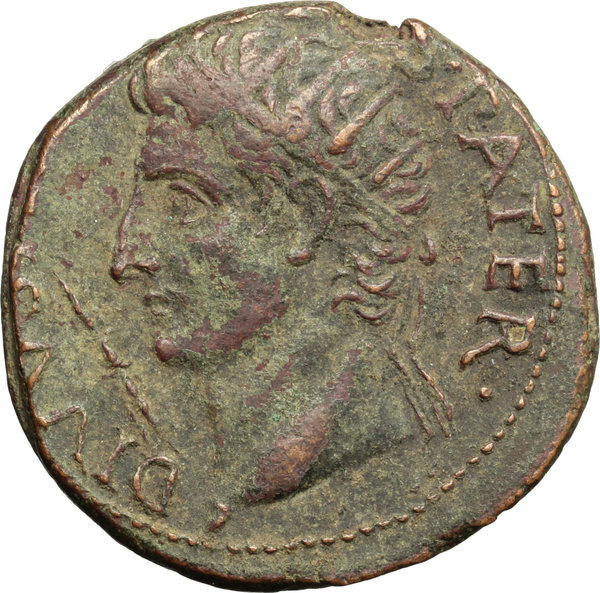 Coins 295 Tiberius (14-37). AE As, 15-16. D/ Head of Augustus left, radiate. 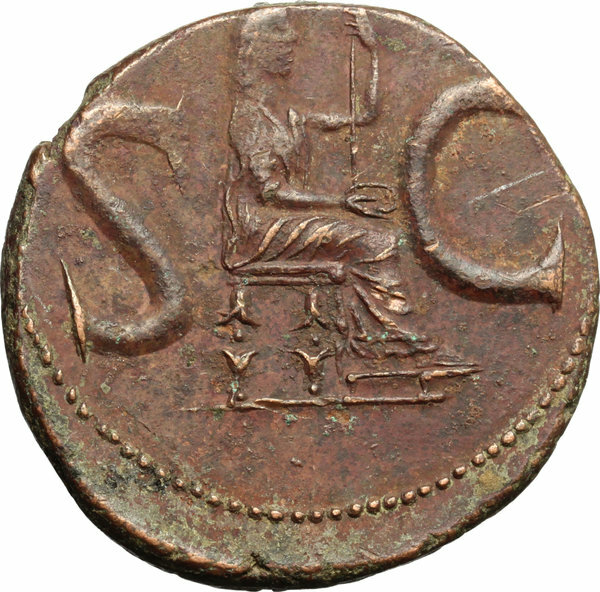 R/ Female figure seated right, holding patera and sceptre. RIC (second edition) 72. AE. g. 11.54 mm. 29.00 About VF.